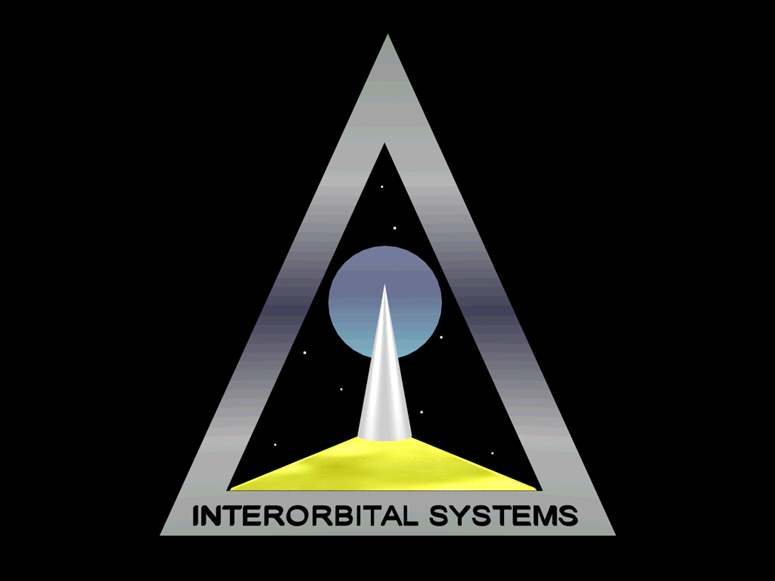 InterPlanetary Ventures is developing the inner solar system for human settlement, with infrastructure, exploration and development projects that will take us from near earth space to the rings of Saturn in the next ten years, paving the way for others to follow. Our goal is to create the terrestrial and space based infrastructure required to support humanity's permanent expansion into the bountiful reaches of our solar system. Getting People Into Space, Permanently. This year Interorbital Systems began flight testing the Neptune Common Propulsion Modules that will become the building blocks of their launch vehicles, coming in multiple sizes that can be combined for launches of small satellites or of people and materials to Earth Orbit. IOS and other companies like them are developing their systems without gigantic loans or huge investments of venture capital, bringing a brand new economic paradigm to the business of building and launching rockets. IOS will be getting us Into Space. Living in Space will require robust (semi) closed ecological biological life support systems (ceblss), which can be resupplied via in situ resource utilization, and which incorporate flora and fauna in such a way as to provide both sustenance and environmental diversity so the explorers don't feel like they live in tin cans. Capsules and such may be alright for short trips to orbital destinations, but longer expeditions require more space per person, access to facilities for personal hygiene, and adequate filtering of the ambient environment to make it livable. Also such an expedition provides time for research and experimentation, the space to facilitate these activities must be provided. NASA is currently planning to explore in capsules larger than Apollo. Orion is designed to carry more people, a crew of six to orbit, with a crew of four planned for lunar or asteroid missions. There is work to be done in cislunar space, and having larger volumes available will facilitate this work. The time has come for us to move from space capsules and graduate to spaceships. 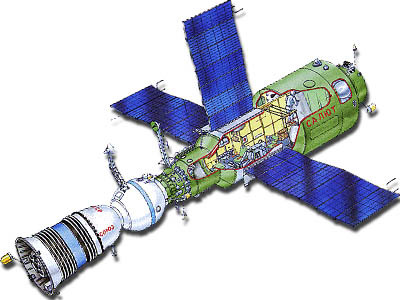 The first earth orbiting space stations are examples of the minimum requirements. 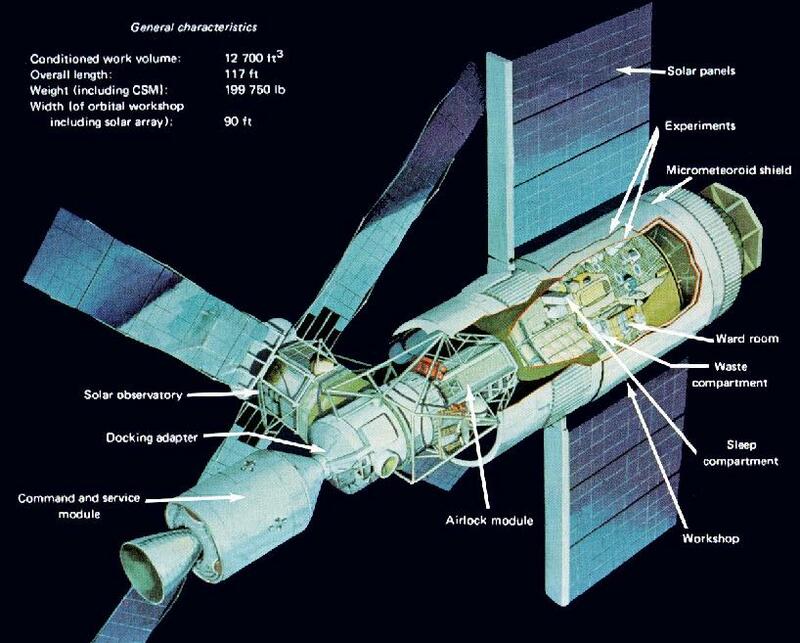 At left are images of the Salyut orbiting lab with a soyuz craft docked at one end, the American Skylab orbiting lab with the Apollo craft docked at one end, and a moon cruiser envisioned by Bigelow Aerospace using their inflatable modules. 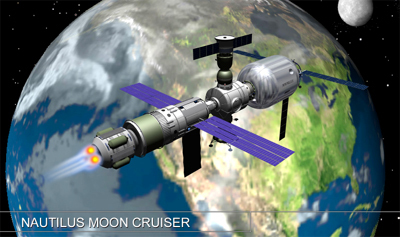 These are examples of the types of vessels that should be used to travel cislunar space, between Earth, Moon, the Earth Moon Lagrange stations, (Lunar L1 thru Lunar L5) and the Sun-Earth Lagrange regions L1, L2, L4 and L5. These are examples from a bygone era, and one modern imagining, there are many possible configurations and designs, the field is wide open for the spacecraft designers of the 21st century. These spaceships will need power, for the labs and habs, and for propulsion. They should use the best available power source, the same power source used by modern ships and submarines here on earth, nuclear power. Propulsion is also an issue, chemical rockets are not suitable for manned interplanetary expeditions. The development of electric propulsion systems has reached the flight test stage, with a VASIMR prototype headed for testing in space within the next year. These type of engines, coupled with sufficient power will open up the solar system for manned expeditions of exploration and development. This decade has seen the start of development of rockets capable of soft landing here, on earth. Two companies have been testing rocket stages that, after launch and seperation, return and land back on earth. These systems will allow for landings on the Moon, Mars and many other destinations in our solar system. Rocket powered landing craft will be required for expeditions that wish to send landing parties to explore or develop our solar system. All of these systems and new technologies are coming together now, making our expansion into the solar system something that can begin in this decade. We have to stop thinking about space travel in terms of missions, and start planning expeditions and excursions, footholds, bases, permanent stations, it's time to get people into space, beyond Earth orbit, permanently. Copyright © 2007-2014 InterPlanetary Ventures. All right reserved.